Welcome to the first of my Etsy Review Series posts. To start off I'm showing off HadapixieDesigns. Hada Pixie is a dancer, model, performer and designer and the first project of hers I'm excited to introduce you to is her Etsy shop. 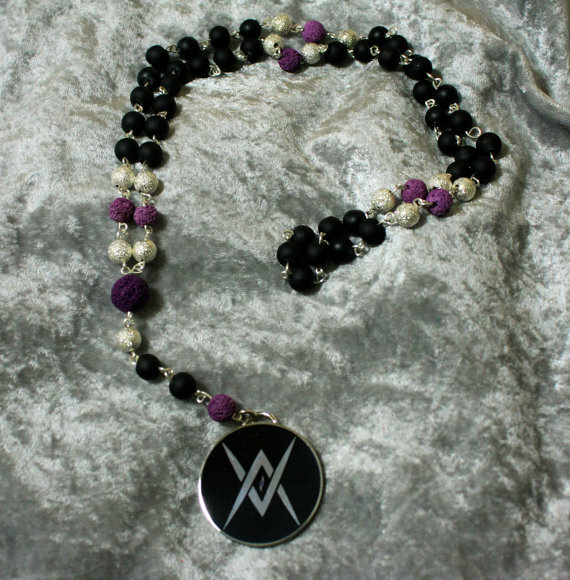 In it she features alternative rosaries like the Tantric Black Flame Rosary above. It's stunning with a limited edition pendant from Venus Aeon (http://venusaeon.com) as it's centerpiece and a chain of black, silver and purple beads. She also has pentagrams, ankhs and even the Seal of Lucifer Rosary below. 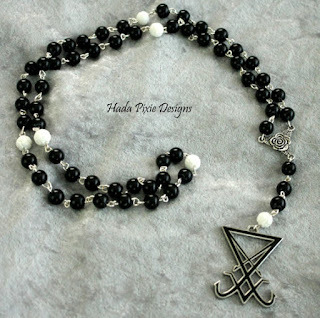 Check out her shop below for more of her beautiful gothic designs.